St Sebastian's Parish, 476 Mull Av. 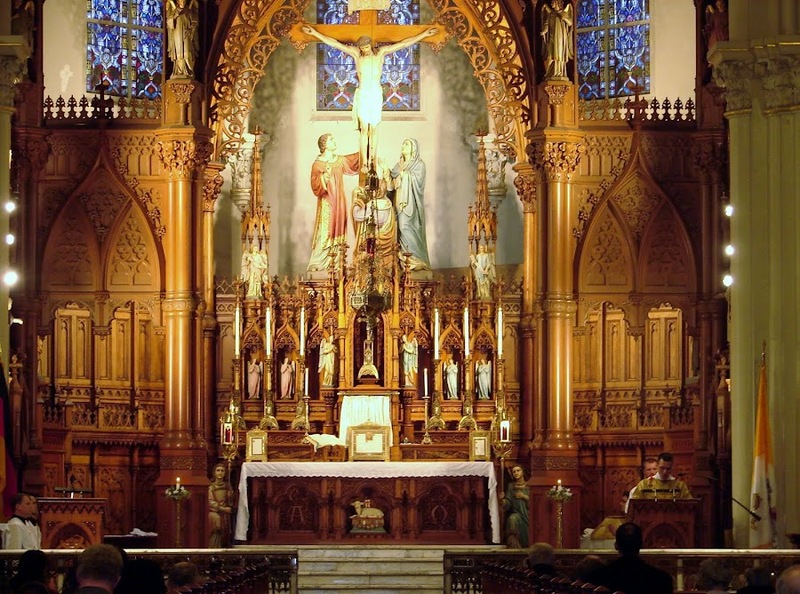 Akron, Oh will host a workshop "Understanding and Following the Latin Mass'." It will be held in the church basement from 12pm to 12:30 pm on Sunday October 7th. After the workshop there will be Rosary, confessions and the 1pm Latin High Mass. Donuts and refreshments will be served after Mass in Zwisler Hall. All are welcome. Questions/RSVP call 330-869-0682. I cannot attend because there are so many activities scheduled that day, praise God! Is there any chance the presentation will be recorded so folks can listen to it at a later date? Thanks!